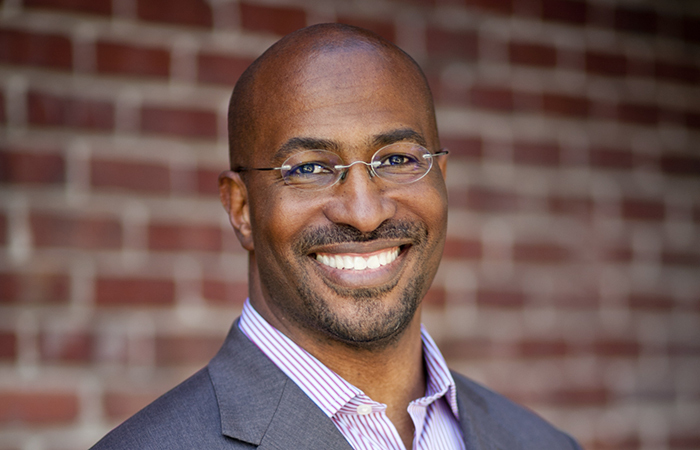 Van Jones is a CNN political contributor, regularly appearing across the network’s programming and special political coverage. Jones has founded and led four not-for-profit organizations engaged in social and environmental justice. Rebuild The Dream, a 21st Century “think tank” that champions innovative solutions to fix the U.S. economy and uplift the next generation. Dream Corps Unlimited, which promotes innovative policy solutions. Dream Corps’ two major initiatives are: #YesWeCode, committed to helping train 100,000 low-opportunity youth to become top-level computer programmers, and; #cut50, which is working to cut the U.S. prison population in half in the next 10 years. Jones has been honored with numerous awards and spotlighted on several lists of high achievers, including: the World Economic Forum’s “Young Global Leader” designation; Rolling Stone’s 2012 “12 Leaders Who Get Things Done”; TIME’s 2009 “100 Most Influential People in The World”; and the Root’s 2014 “The Root 100.” He is presently a fellow at the MIT Media Lab.